Does Your Website Pass The Mobile-Friendliness Test? Responsive Design – Responsive Design is the number one choice by Google for mobile optimization design patterns. Choosing responsive design is desirable because it only uses one URL for your site rather than a mobile URL and a desktop URL.NOTE: If you’re already hosted on HubSpot’s COS then you’re optimized with responsive design. If you’re not already hosted on the COS but need to move to it now, you can request a free consultation to learn about the process here. Dynamic Serving – Dynamic serving changes the HTML of your website while keeping the same URL. Instead of shrinking and optimizing one design, dynamic serving figures out what kind of device the user is experiencing your website with and changes up to code to show something different. This is a more complicated process, but offers an optimized result as well.NOTE: This approach is known to be a lot more error-prone so beware before choosing this option. Separate Mobile Website – When mobile optimized sites first started to come to light, this was the way to create them. Instead of using one URL, a mobile website is essentially a new website built for your company for mobile purposes. It’s onerous for Google though. It means that they have to crawl two websites and two versions of your content. If you already have this in place, make sure it works properly. If you’re considering this option, make sure the other two aren’t better fits first. Google loves it: As mentioned above, responsive design patterns are recommended by Google and we love to keep Google happy. Why does Google love it so much? In short, it improves the efficiency Googlebot, the tool used to crawl your website, which in turn helps Google index more of your content sooner. It also assists in assigning indexing properties to content using Google’s algorithms without needing to check two places. It’s easier for you and your marketing team: When marketers use a tool like HubSpot to build a responsive design, it is much easier to maintain. It also means that you only have to make updates in one place rather than on multiple sites. You know when a web page is updated, it’s going to look correct on mobile and desktop screens. Responsive design takes the worry out of your day and allows you to focus on marketing. Your leads and customers get a better experience: With one URL being used, your leads and customers receive a seamless website experience from mobile to desktop. Menus haven’t changed from one to the next, and everything looks familiar. This helps build trust with your audience and ensures you stand with or ahead of the competition. 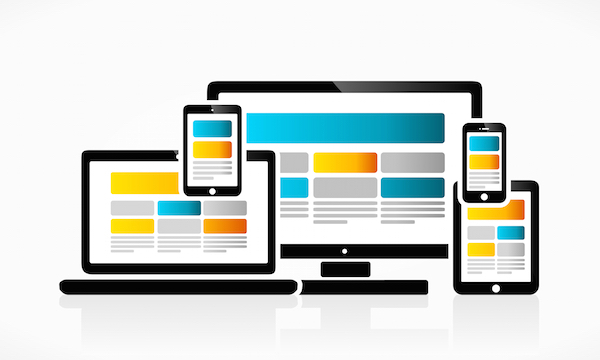 It’s the future of web design: Responsive design is where we believe websites are going. Instead of investing in two completely different sites, or creating two different sets of code, consolidate and use responsive. It will be a better investment in the long run. Will the Google algorithm change affect your website rank? Let us know in the comments!